We don’t believe in one-size-fits-all credit card processing solutions! At Luras Inc., building relationships is our highest priority. We take the time to get to know you and understand the individual needs of your business. In addition to increasing your bottom line, we are also committed to streamlining your efficiency and security. We then work with our network to craft your custom payment processing solution and provide you with upfront, transparent pricing. To top it off, we stay abreast of the ever-changing compliance standards to ensure that your credit card system is set up correctly for your specific industry—allowing for peace of mind and financial security. 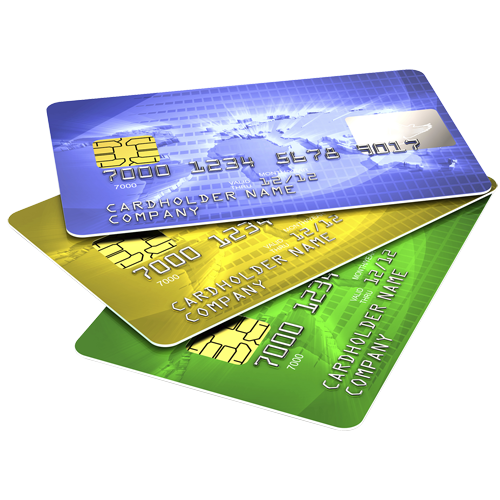 Luras Inc. makes choosing a credit card processing service easy. We shop the rates and equipment for you and work closely with our extensive network of credit card processors and equipment providers to get you the lowest processing rates and equipment costs possible. We give you exactly what your business needs—nothing more and nothing less. We don’t believe in one-size-fits-all credit card processing solutions and neither should you! Luras Inc. brokers credit card processing and provides business services to companies of all sizes—both brick-and-mortar and eCommerce. We assist our clients with breach protection against credit card fraud and help to increase the efficiency of managing sales, inventory, and employees with our POS systems. We also offer gift cards and programs designed to increase traffic through your doors. Luras Inc. takes a consultative approach to preparing your business for greater success. It’s worth a conversation. 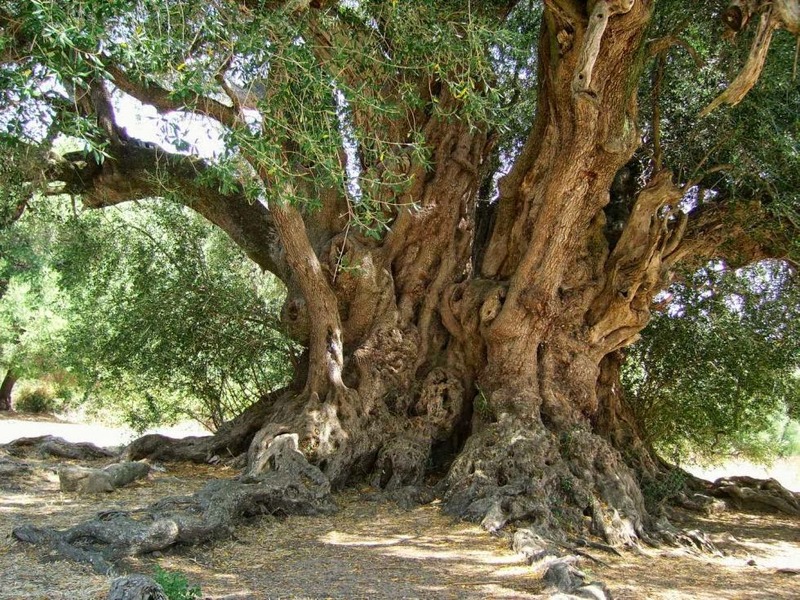 Fourteen kilometers from the center of the small Sardinian town of Luras, stands an ancient monumental olive tree. 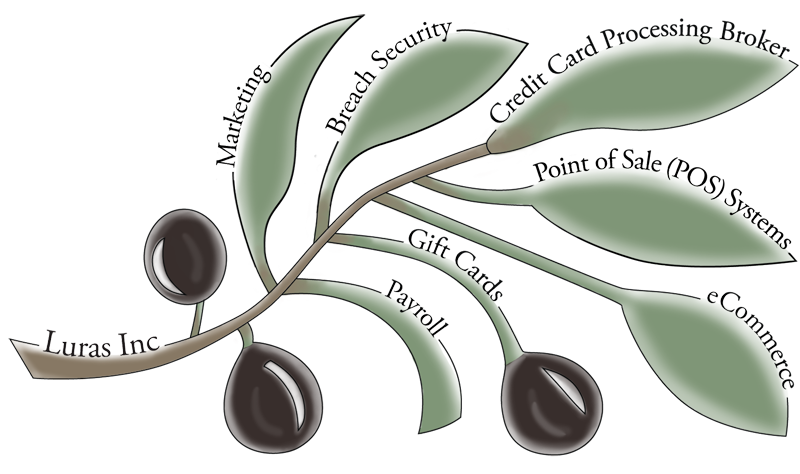 Inspired by the proverbial “olive branch”, and the strength and longevity of this tree, Luras Inc. was formed to provide these same qualities to you and your business. Start your new streamlined business journey today! Talk to Us About Streamlining Your Business for Profitability, Efficiency, and Security. It’s worth a conversation. Tree Photo by Robur.q. This file is licensed under the Creative Commons Attribution-Share Alike 3.0 Unported license.